Alex Harris has left Hibs after more than a decade with the club. The 22-year-old winger has struggled to command regular game time in recent seasons and his contract, which expires this summer, will not be renewed. Harris, who first entered Hibs’ youth system as a nine-year-old, broke on to the scene in emphatic fashion as a teenager under Pat Fenlon at the tail end of the 2012/13 season and duly earned himself a four-year deal. However, he has subsequently been unable to establish himself in the team under Terry Butcher, Alan Stubbs or Neil Lennon after a broken ankle sustained in August 2013, at the start of his first full season, knocked him off course. The academy graduate has spent time on loan at both Dundee and Queen of the South in recent seasons, but is now preparing for a permanent future away from Easter Road. Harris leaves Hibs having made 60 appearances – 31 from the start – and with two goals to his name. The first of those came in arguably his most memorable match – the 2013 Scottish Cup semi-final against Falkirk in which he played an instrumental role as his team roared back from 3-0 down to win 4-3. 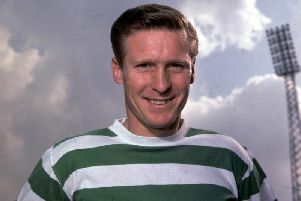 He managed only 15 appearances for Hibs in the season just finished – three from the start – although he was hindered by injury for a significant chunk of what has proved to be his final campaign at the club.